Vietnam’s benchmark VN-Index strove to avoid falling on July 23, as investors displayed caution. The gauge of 247 companies and four mutual funds listed on the Ho Chi Minh Stock Exchange inched up 0.01 percent, or 0.03 points, to 500.31. Of the index, 79 stocks increased, 119 fell, and 53 were unchanged. 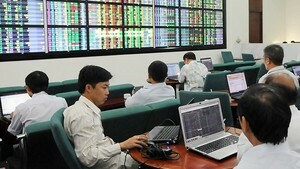 Trading volume dropped to an eight-trading-session low, as just 39.66 million shares changed hands at VND1.17 trillion. With 1.85 million shares changing hands, Saigon Thuong Tin Commercial Bank or Sacombank (STB) won the position of most active shares in volume. Ocean Group Joint Stock Company (OGC) came in next with 1.67 million shares traded. Shipping company Gemadept Corporation (GMC), which gave up 3.6 percent, came in third with 952,060 shares. Meca Vneco Investment and Electricity Construction Joint Stock Company (VES) led the winners on the city bourse, gaining 4.79 percent to VND35,000. Danang Contruction Building Materials and Cement Joint Stock Company (DXV) advanced 4.75 percent to VND35,300. Do Van Vu, brother of Do Van Nhan – deputy director of Danang Contruction Building Materials and Cement Joint Stock Company (DXV) sold 5,300 shares on June 22 without making announcement. Construction materials producer Nui Nho Co-operation (NNC), which located in neighboring province of Binh Duong, shot up 4.67 percent to VND56,000. Losers in the southern market included Royal International Corporation (RIC), Vinafco Joint Stock Corporation (VFC) and Petrolimex International Trading Joint Stock Company (PIT). From July 22 to August 22, Vietnam Investment Fund I, LP, which involved the Board of Directors of Vinafco Joint Stock Corporation (VFC), registered to sell 400,000 shares, cutting its holdings to 1,379,016 shares, accounting for 6.9 percent of the company’s chartered capital, restructuring its investment category. Royal International Corporation (RIC) will issue bonus shares to reward its current shareholders at a ratio of 10 percent. It will also release additional shares to pay dividends for the year 2009 at a ratio of 5 percent. The Hanoi’s HNX-Index added 0.31 points, or 0.2 percent, to wrap up the week at 157.99. 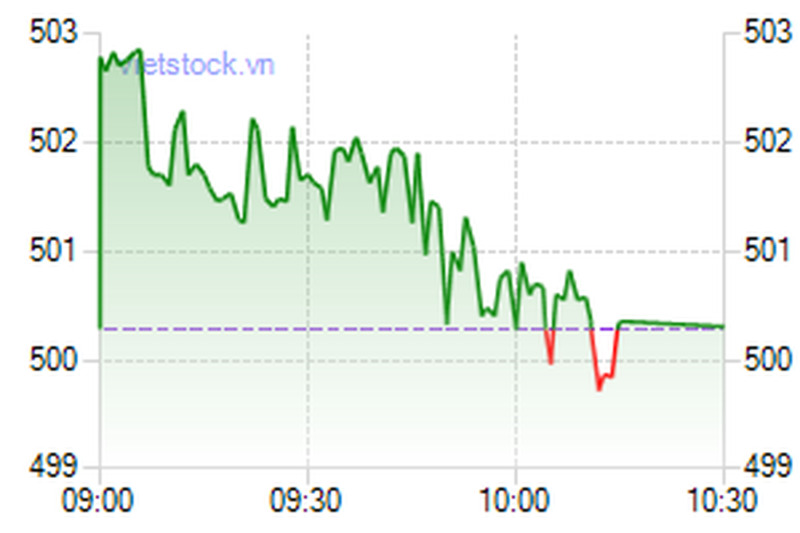 Liquidity on the northern bourse reduced 10 percent over the previous day, as around 32.8 million shares, worth VND1 trillion, changed hands. In contrast, the UPCoM-Index lost 0.25 points, or 0.46 percent, to 54.63 as of 11:05 am local time. The market of unlisted stocks recorded nearly 600,000 shares being traded at a value of VND10.1 billion.